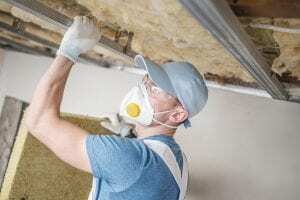 Home insulation contractors may be plentiful in the Jacksonville area, but few have the long track record of customer satisfaction that 31-W Insulation does. Since our founding in 1972, we have been the company of choice for homeowners in the Southeast who want top-of-the-line fiberglass insulation replacement. We offer and install insulation from the leading brands, such as Owens Corning® and CertainTeed, and rely only on our experienced and factory-trained employees for our insulation service. That way, we can ensure that every project we complete adheres to our stringent standards of workmanship and customer service. Our consistent A+ rating from the Better Business Bureau is no accident. At 31-W Insulation, we go to extra measures to make your home more comfortable and functional. When you contact us, we will meet with you for an in-home consultation at a time that’s convenient for you. We will closely inspect your insulation to pinpoint areas where your insulation needs to be replaced. We will then discuss your needs and budget, and review all of your insulation options. All it takes to start enjoying these benefits is to reach out to us for a free consultation. One of our knowledgeable representatives will gladly help you determine which of our exceptional insulation options is right for your Jacksonville home. To learn more about our fiberglass insulation service, or to schedule a consultation, contact 31-W Insulation today.